Home Anime Fate/Grand Order for Android and iOS now officially available in the Philippines! 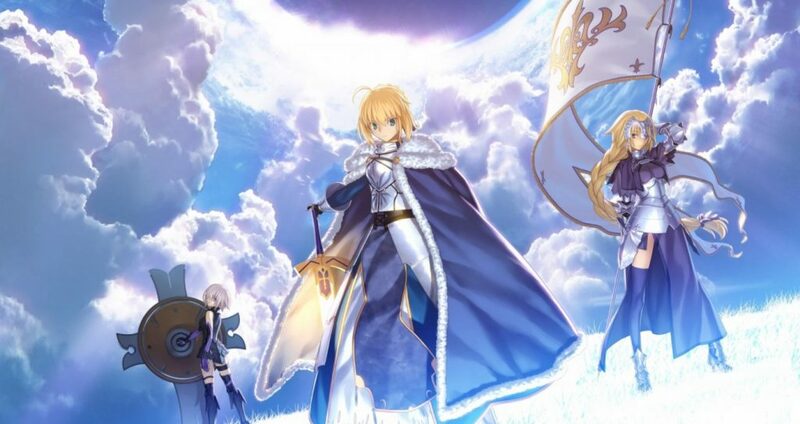 Fate/Grand Order for Android and iOS now officially available in the Philippines! While the game has already been out in Japan for quite a while, fans of the smartphone game Fate/Grand Order won’t need to struggle with understanding the Japanese menus and dialogues since the English version of the game is now available in 6 countries, including the Philippines! The game will be the same as the United States version of Fate/Grand Order and will immediately include the first five chapters. Of course, this may entail starting a new save from scratch but hey, at least it’s already translated, not to mention it retains the Japanese voices! That should be reason enough for Fate and anime fans in general to get excited since the list of Japanese voice actors and actress includes very prominent names in the industry like Tomokazu Sugita (Gintama’s Sakata Gintoki and Blazblue’s Ragna the Bloodedge), Mamoru Miyano (Gundam 00’s Setsuna F. Seiei, Soul Eater’s Death the Kid, and Persona 5’s Ryuji Sakamoto), and Maaya Sakamoto (Black Butler’s Ciel Phantomhive and Persona 3’s Aigis). The game is now available for download here for IOS and here for android! So all Masters out there, ready your Command Spells and start summoning your Servants to participate in this Holy Grail War… in English this time! Next articleArena of Valor World Cup Breaks Another World Record!